Welcome to the 453rd edition of Who Am I?, the weekly game where I dish out a daily clue to a subject and you have to guess who or what it is. CLUE #3: I was born into a middle class Jewish family. I'm just reminding the younger ones that may not know the history, why we need to be careful to not repeat it. CLUE #2: I was married to the same woman for over 60 years. CLUE #3: I was once associated with Bill Cosby. 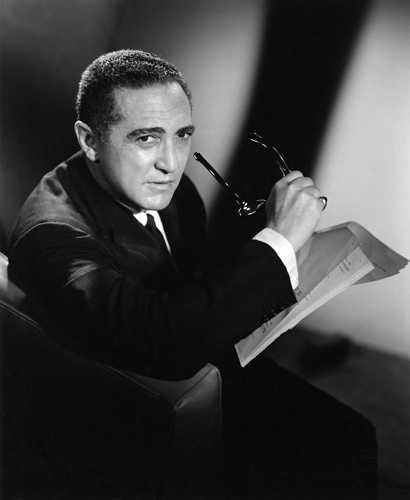 It's Sheldon Leonard (1907-1997), a prominent actor and TV producer. He mostly appeared in movies in the 40s and 50s including Nick the bartender in "It's A Wonderful Life". However, he made his mark in TV as the producer of several shows including The Danny Thomas Show and I Spy which of course starred Bill Cosby.